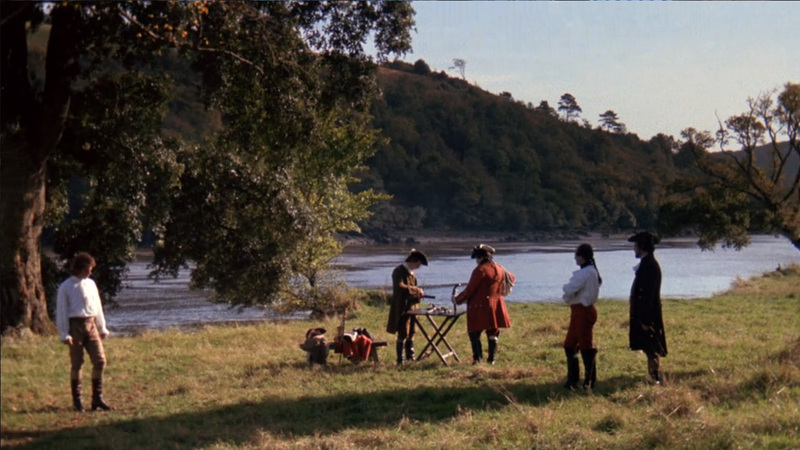 Barry Lyndon is the story all about how Redmond Barry's life got flipped upside down. Yeah, sorry about that. A lame joke, but I just felt I should, despite I knew I shouldn't. And that is my wonky donkey's bridge of explaining what is the broad strokes of the rise and the fall of one Redmond Barry of Ireland, later known as Barry Lyndon. Young Redmond (O'Neill) is in love. As the time of the story is during and after the 7-Year War in the 18th century, the object of his love hardly raised an eyebrow back then despite she was his cousin Nora Brady (Hamilton). Unlike her love-stricken cousin, Nora is more aware of the ways of the world and ends up agreeing to marry a British officer, who has both name and money, two aspects young Redmond doesn't. The young fool that he is, Redmond challenges the officer, one Captain Quin in a duel, which ends up Redmond escaping towards Dublin, as he believes to have killed the man and the local constabulary might be a tad peeved about that. Unluckily for Redmond, he gets robbed on the way and penniless he ends up getting recruited to the army, but only at part because he doesn't have money anymore; the youngester is harbouring dreams of grandeur only a battlefield can bestow upon him. After his first real combat Redmond finds out the true nature of war as well as the nature of what glory in battle really is. Seeing, as he doesn't want to become another young, wailing man lying in the muck, he decides it's time to skedaddle. So he steals a uniform of an officer and bolts the opposite direction of the combat, towards Prussia. As luck has it, the young man is found out finally by captain Potzdorf (Krüger) of the royal Prussian army who gives him two options: enlist to them or die as a deserter. Under the watchful eyes of the Prussian military might, Redmond manages to catch the favour of Potzdorf after he rescues his life and because of this yet another opportunity befalls upon Redmond. A job as a spy, targeting the comings and goings of one Balibari (Magee), who is suspected to be a spy himself. 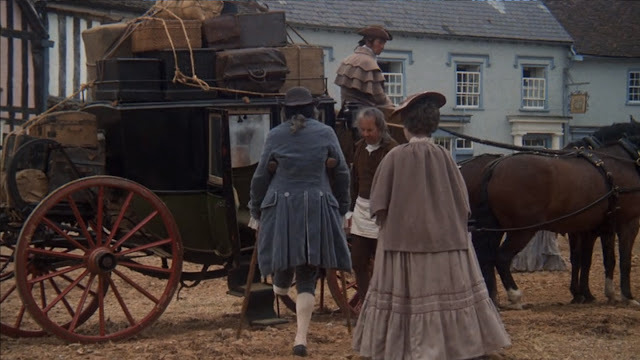 With fake papers in hand, Redmond seeks employment from the house of Balibari, but as luck has it, they both actually originate from Ireland, so with this common homeland connecting them, Redmond confesses his mission and Balibari decides to take him under his wing. Seemingly working for the Prussians, Redmond is now schooled in the art of gambling and when the time comes, the two of them escape to other parts of Europe where they make a living as travelling gamblers. During these travels, Redmond comes to a conclusion, that like many men before him, the best thing for him to do is to marry in wealth. And thus he lays his eyes on the beautiful Countess of Lyndon (Berenson), who is at the time married to a sickly Sir Charles Lyndon. quickly Redmond seduces the Countess and after her husband dies, they marry. Throughout the movie, Redmond's unsavoury nature has been greatly hinted at, but not really shown in earnest. With this marriage, we finally see what kind of a man he really is, when he spends the money of his wife in gallivanting with other women and partying when his new bride is at home with their new son. In this final part of the story, we finally witness the complete downfall of Redmond Barry, who now after his marriage is known as Barry Lyndon. As the wealth of the marriage belongs to the Countess, Barry's mother encourages him to seek peerage, in which he sinks a considerable amount of money. It all falls down when people witness him beating his stepson Lord Bullingdon (Leon Vitali) after the young man finally stands up to him, scolding him of his actions towards his mother. The end of Redmond Barry is as you'd expect for a man like him. Lord Bullingdon finally challenges Redmond to a duel and the two of them decide to shoot it out. During this event, Redmond is wounded to a leg, thus losing the battle and is now forced out from the mansions he once lived. Bullingdon agrees to pay Redmond a yearly stipend if he leaves the country never to return and with that, we hear the last of Redmond Barry, who will never rise to where he once managed to climb. Barry Lyndon is often seen as the most overlooked movie Stanley Kubrick did. It's not perhaps as divisive as Eyes Wide Shut is, but it is the movie not that many people seem to consider when thinking of his best work despite it is beautifully shot, often only lit by candles, and stunning looking movie. It might, perhaps, be because unlike his other works, Barry Lyndon is a relatively straight cut story. It's about a man, who rises above his class, but because of his own nature, loses it all. You might say, that it is at heart a rather simple moral story where deeds reap the reward they truly earn. That is not to say though, that despite Barry has many bad qualities, he'd be completely an unredeemable man. He does, like most of us, have qualities that contradict his actions, like his sense of honour, which carries him to fights and off them. This sense of honour is in the end at part responsible for his downfall. And as far his only child goes, he does love him deeply, pampering him every chance he has. It is a shame, really, that Barry Lyndon doesn't seem to be credited as much as probably should, as it is an interesting, well done historical epic. It sweeps through war-torn Europe and gives us a glimpse of a world that once was. At times the movie has an almost naive, fairytale-like quality about it in how it narrates its tale, but which then is cut through with a dose of realism. Kubrick juggles these elements in an intriguing manner, which make the movie feel rather unique. 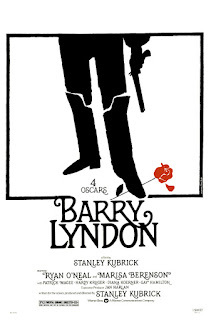 For me, Barry Lyndon has for the longest time been on the watch list. I can't say if it has been the length of the movie or the setting of it, but I've always put it off for the later and perhaps that has been a good thing, as I don't know if 20 something me would have really appreciated the style of the movie. 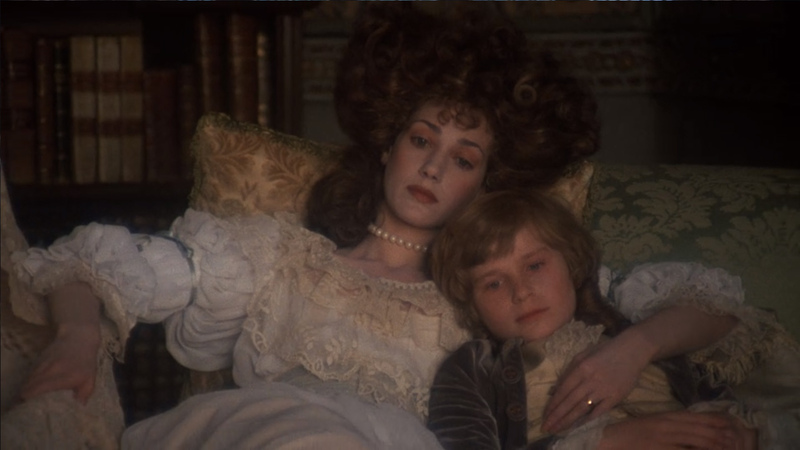 There is no knowing how it might have been, but now I really appreciate the stunning visuals tied to the almost poetic narrative Barry Lyndon has. It is, as far as historical epics go, a unique movie I won't hesitate to call a masterpiece, at least as far the aesthetics go. 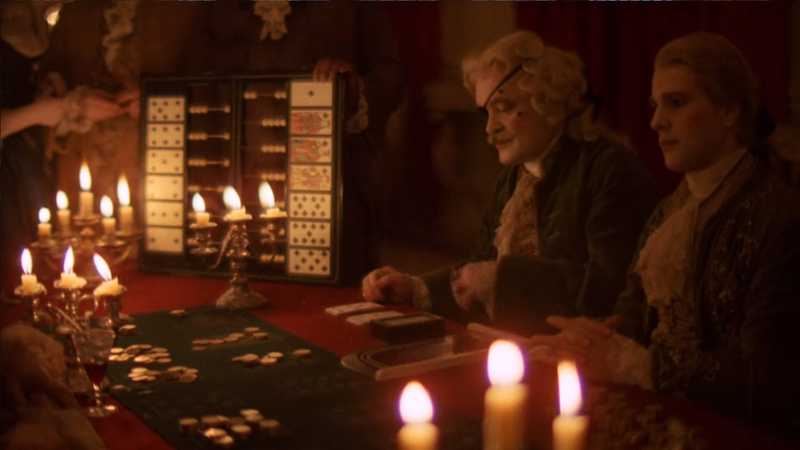 After seeing Barry Lyndon I feel it's even more of a shame Kubrick didn't manage to get his Napoleon movie made. This was his compromise and if his compromise looks like this, imagine what his passion project would have looked like.